A streamlined chair with remarkable sitting comfort, Basso is a distinguished family of meeting chairs. Basso creates discreet reliability and even playful ambiance particularly in meeting rooms. It has a lumbar support embedded in the streamlined profile. The upholstered armrest protects the edge of the table top. Basso M, L and XL are available with a 4-star cross leg (X or Y) with optional swiveling mechanism or a 5-star cross leg with wheels and gaslift (ZXL). Optional armrest. 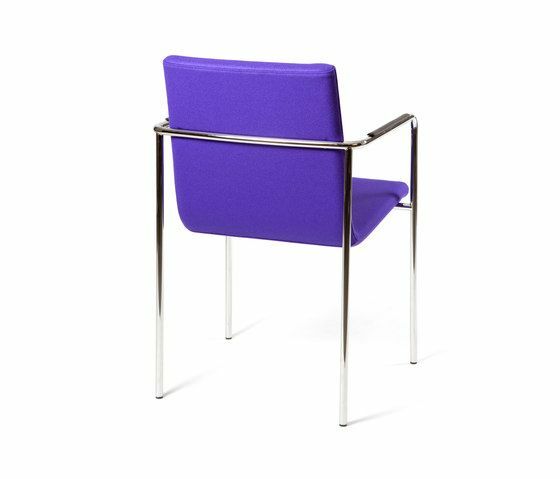 Basso S is a stackable side chair that completes the Basso range of meeting chairs. The slimline structure is proven to be strong and durable (tested ISO7173:1989, level 5). Optional row connection and writing tablet. Also available with a 5-star crossleg with wheels (Z) or a 4-star cross leg (Y) for meeting applications.